Big Island police arrested two Hilo women Wednesday (February 2 ) for offenses related to crystal methamphetamine. 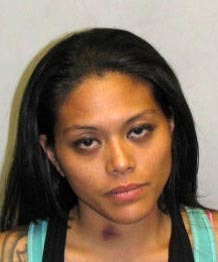 Vice officers served a warrant on 28-year-old Dawn Delatorre-Ganon around noon Wednesday in a shopping center parking lot in Hilo. Police recovered 5.2 grams of “ice,” a digital scale, empty resealable plastic packets and an ice pipe from her person. They recovered an additional 0.4 grams of the drug in the pickup truck in which she was sitting with 46-year-old Jacqueline “Jackie” Markham. Both women were arrested at the scene. 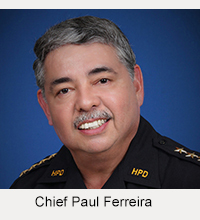 Later in the evening Delatorre-Ganon was charged with first-degree attempted methamphetamine trafficking, second-degree promotion of a dangerous drug, and possession of drug paraphernalia. Her bail was set at $305,000. Markham was charged with third-degree promotion of a dangerous drug and possession of drug paraphernalia. Her bail was set at $4,000. Both women were unable to post bail and appeared in South Hilo District Court Thursday afternoon for their initial court appearances. 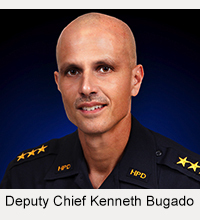 Police encourage the public to call the Police Department’s 24-hour ice hotlines to provide anonymous information about ice and other illegal drugs. The hotline phone numbers are 329-“ZERO-ICE” (329-0423) in Kona and 934-“VICE” (934-8423) in Hilo.